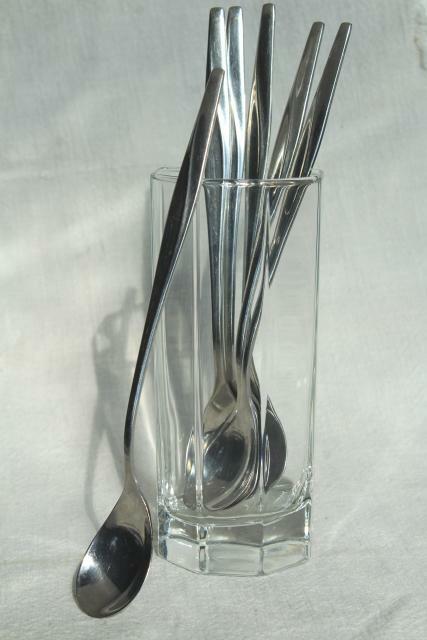 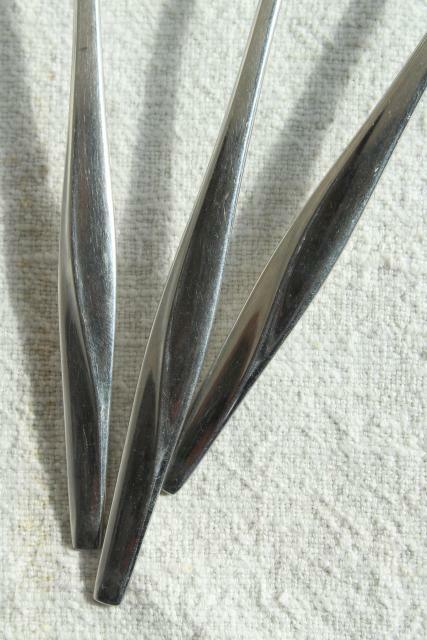 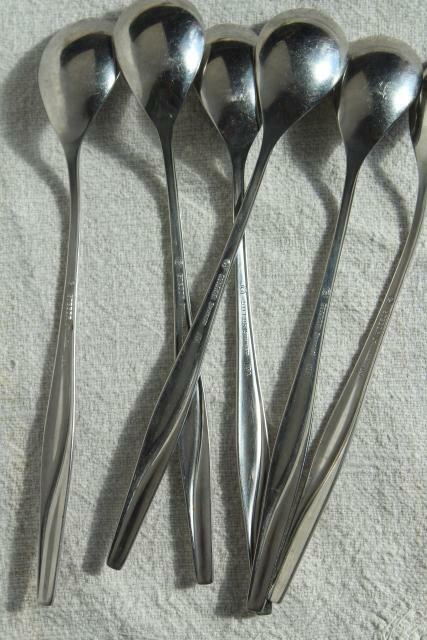 Vintage stainless steel iced tea spoons, Sea Wave or Waikiki pattern, by Gorham? 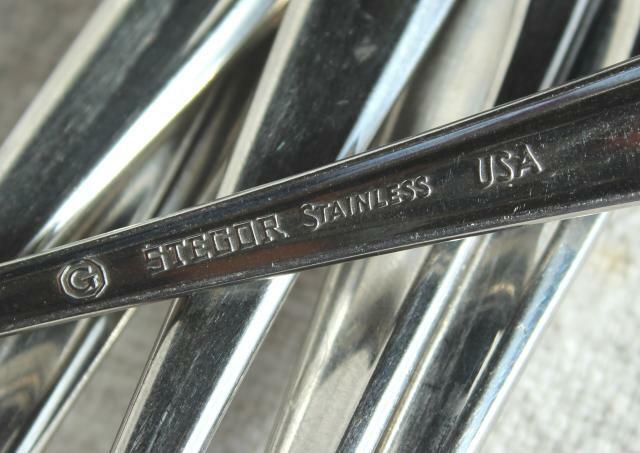 These are marked Stegor USA stainless. 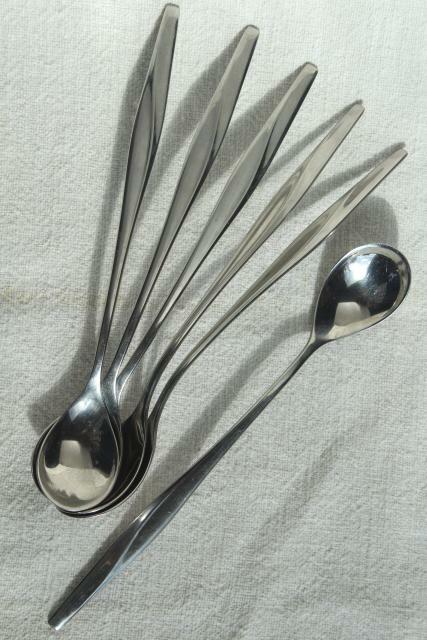 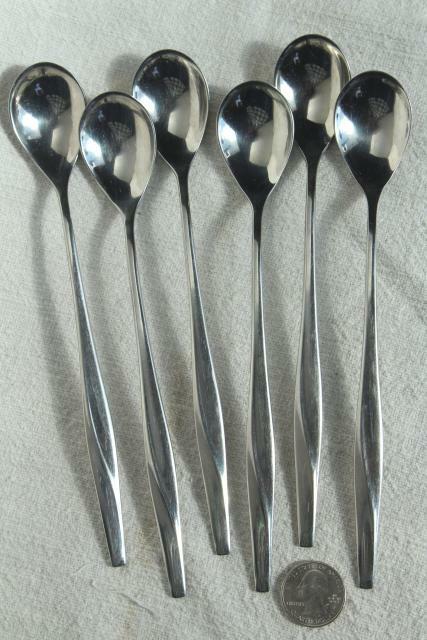 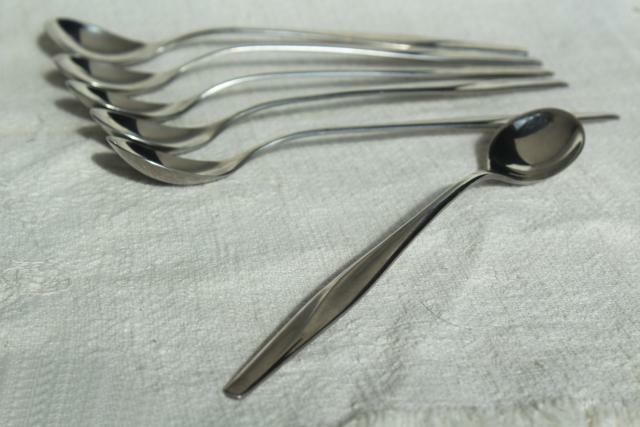 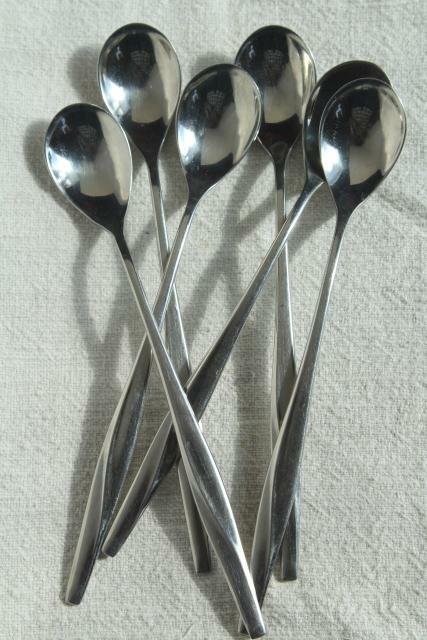 It's a set of six spoons, all in good used condition - some light scratching and wear.